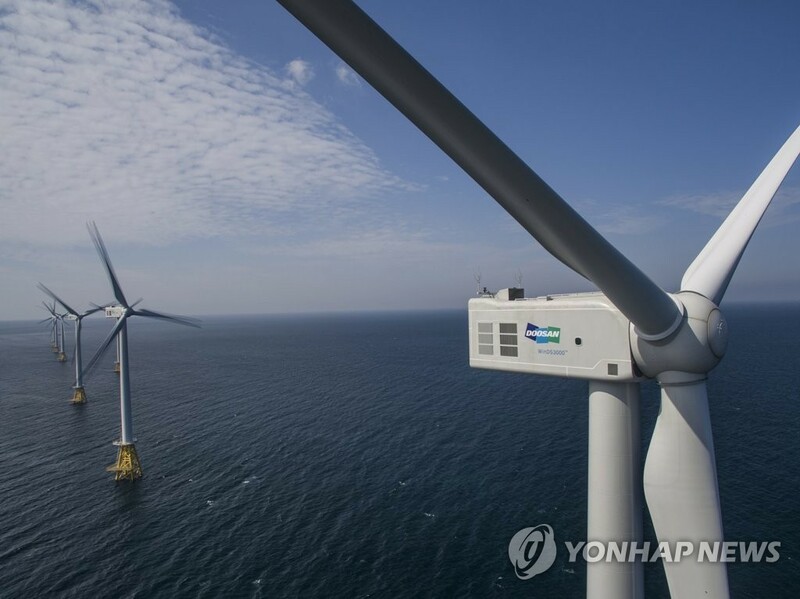 (SEOUL=Yonhap News) South Korea's industry ministry said Thursday it will speed up the development of renewable energy and encourage more businesses to utilize power produced from sustainable sources such as sunlight and wind. The Ministry of Trade, Industry and Energy announced earlier it plans to have renewable energy account for 20 percent of the combined power generation in the country in 2030, up from the 7.6 percent posted in 2017. South Korea has been making efforts to reduce its reliance on fossil fuel, thus helping to reduce the amount of fine dust released into the atmosphere, as well as taking steps to break away from nuclear power. Under the plan, the government will induce private firms to join the RE100, or Renewable Energy 100 percent, initiative, which centers on utilizing only environmentally friendly sources for all production. The global campaign has been joined by various global firms including Apple Inc.
By getting more private firms to join, Seoul hopes to narrow the technology gap in renewables with leading global players. South Korea will, moreover, develop a marine wind-based power generation zone on its southwestern waters with a combined capacity of 2.4GW. Such a plant could lay the groundwork for a stable domestic clean energy market. Companies that minimize carbon emissions will receive additional points on assessments of their renewable energy certificates (RECs), the ministry added. The ministry said the vision not only centers on seeking environmentally friendly sources but on fostering a new growth engine for South Korean industries as a whole so they can play a leading role in developing related knowhow. The government said it will carry out detailed studies into overseas markets and set strategies for different countries, from advanced industrialized economies to emerging players, so as to promote exports.